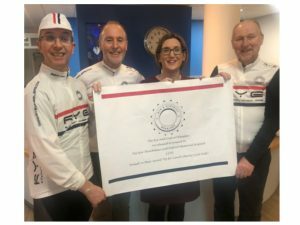 The hospital was delighted to be given the opportunity to host the Rye Wheelers ‘Up For Lunch’ Charity Cycling Hill Challenge’ on Sunday 2nd September. This event started from the hospital and had 3 routes 50k, 75k and 100k. Rye Wheelers have kindly donated £250 from the proceeds of this event to the Friends of the Hospital at Rye.